Numerous irreplaceable articles have been entrusted to the BCA with the expectation that the association will be able to preserve, catalog, and display them for the purpose of informing and educating future generations. 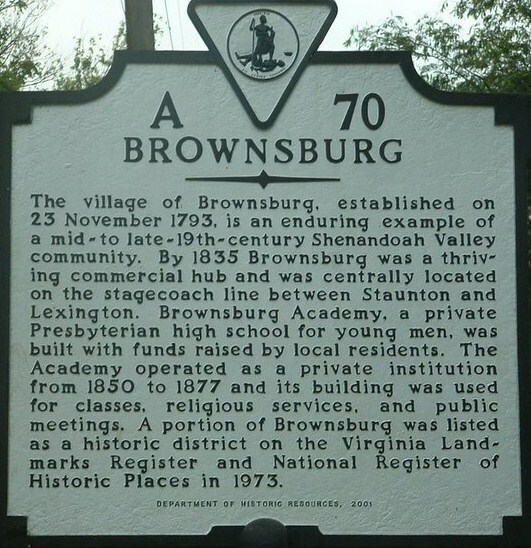 The mission of the Brownsburg Museum shall be to establish and maintain a museum to house and exhibit a permanent collection of 18th, 19th, and 20th century regional memorabilia, and to provide space for collections on loan, for the purpose of enjoyment and education of the general public and the rural communities of the Valley of Virginia. Museum re-opens April 6, 2019! The Brownsburg Museum will continue to celebrate 10 years of operation with the continuing exhibit, “With Their Hands-Crafted in Rockbridge and Augusta Counties 1750-1900”. Opening April 6 at 10:00, the new exhibit features stoneware, textiles, paintings, metal ware and furniture items. Many are from private collections and have never been made available for public viewing. This exhibit has been extensively revised with the replacement of many items displayed in the original, 2018 version. Return visitors are encouraged to view the exhibit as well as first-time visitors. Admission to the Brownsburg Museum is free.